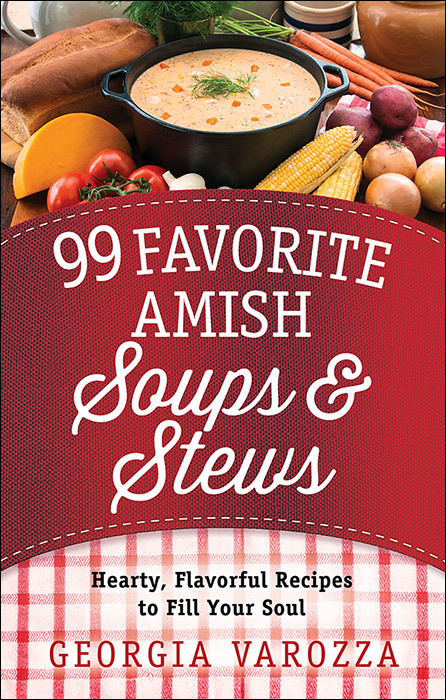 Georgia Varozza, author of 99 Favorite Amish Recipes and The Homestyle Amish Kitchen Cookbook, presents 99 Favorite Amish Soups and Stews. This little cookbook is packed with recipes for delicious soups and hearty stews, along with tasty side dishes to round out your meal. Whether you’re looking for some comfort food for a cold night or preparing to serve a potluck dinner, this cookbook is the perfect go-to resource. 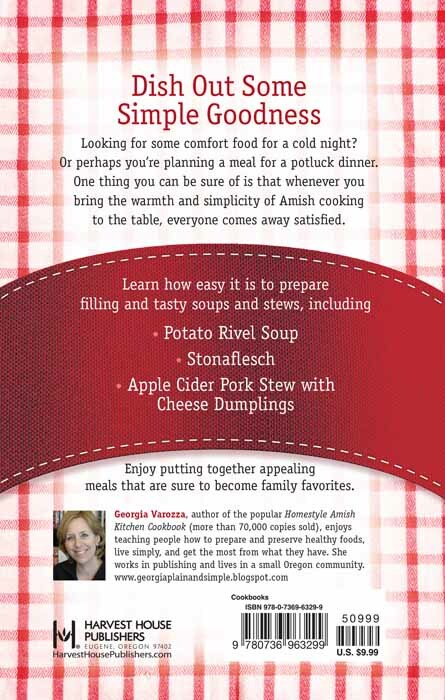 When you bring the warmth and simplicity of Amish cooking to the table, everyone comes away satisfied. "Easy to adjust, simple to adapt, or already adequate, paired with utensils and/ or ingredients in a basket, this would complete an ideal wedding gift, new baby present, cooking-party favor or just enjoyed for personal family use. Yum!!" "The soups and stews from her latest are quite simple to make and oh so delicious.... The author even gives you a few recipes for some bread type items to go along with your soups and stews to complete the meal. YUM!"